The first encounter with the crypto wallet thematic caught my attention immediately. It is fascinating how the term is identical and at the same time differs from the one outside the digital world. Back inside, these tools have multiple layers, as well as methods to protect the content they deal with. What is more, the process of sending and receiving is not only your call but a combination of circumstances, which we will explain further in the article. The actions, available with your crypto wallet can be connected to the paper money and credit cards. You can directly use cash when buying something, or simply landing it to friends and family. The bank product - credit cards, are a tool of the middleman, that have your money and you depend on it in so many ways. Having that in mind, let’s jump to the crypto wallet by comparing the cash to the cryptocurrency. It is the port or place, where you receive, store and send coins. Usually, when doing any action within the wallet, there are no fees. When you decide to send to others or even trade or deal with an exchange (the third party), you will have additional taxes for the services. Sounds familiar? Yes, that is the connection to the credit cards and banks, that we wanted to outline. Let’s dig deeper and peel each layer of information, that there is about cryptocurrency wallets. This is a program, that helps you manage cryptocurrencies. It generates and stores two codes, known as the public and private key, which are the poles of that whole idea and execution. You use the private key to access the program (something like your pin code) and the public one (similar to IBAN or bank account number) to direct the coins flow from and to your wallet. In order to be part of the crypto-sphere network, the wallet is an essential entrance point and constant connection to the blockchain. Whoever has access to the private key, related to an address containing funds, can perform a transaction and spend every coin inside. How it works? What does it do? Here is the time to emphasize on one very important aspect of the crypto wallets’ mission. Let’s first explain one misleading idea first – where are the coins really stored? This is not in the wallets, but in the blockchain. Public and private keys are your way to reach it, so you can supervise the balance and run other operations. In other words, when somebody sends you Ethereum for example, they sign the ownership of a certain amount to you, well to your public key (wallet address). That way, they are saved in the blockchain and accessible only by you, through your private key in combination with the public one. This pair dependency is automatically created by the wallet. In case they don’t match, the sender’s wallet balance will decrease, but yours won’t increase. hot – online wallets, permanently connected to the internet. This 24/7 hotline is reachable and notable by hackers. Don’t forget viruses and malware. Such wallets are all the software ones plus the exchanges (the custodial option). cold – offline, not connected to the internet, therefor safer. Such wallets are paper, hardware (such as USB drives) and mind (if your memory is strong enough, otherwise don’t risk it). There is also deep cold storage, which represents a piece of hardware never connected to the internet or any other network. The keys are generated offline. software – the most popular type of wallet, used for sending and receiving coins. Here are included also web, mobile and desktop ones. hardware – if you are interested in security, this kind of wallets offers that. Its defense is strengthened by PIN codes, which keep your funds from harm’s way, even if the device is stolen or infected. Such wallets are Trezor, Ledger, USB drives, KeepKey and so on. full node – the name gives out the purpose here. These are usually the official coin wallets, because they act like a full node when at the same time support the network. Bear in mind, that for such wallet you need a lot of free space, so you can manage to download the whole blockchain. The process of getting all that onto your PC will be not so fast process. light – SPV wallet – it uses just the header of the transaction, so that it can be verified by the blockchain. You don’t have to be a full node in this case. Even better, you can use it for multiple coins. custodial – if you choose this option, the third party takes control of everything – keys, safety, maintenance, but they control your money (pretty much like banks)as well. Basically, the service provider controls all funds. hosted – here you can control your earnings, which are hosted by a middleman. As a contrast to the custodial wallets, hosted ones take care just for the maintenance and security. You simply rent the software. deterministic – each new key pair is generated for every new transaction. Once done, the funds are split automatically in numerous places. This way, no one will know how much coins you have and where. How about that for privacy protection, right? What is more, don’t worry about two identical keys. After all, there are trillions new every nanosecond. non-deterministic – here the keys are randomly generated, no seed is used for ordering them. What to keep an eye on? Simply said, the safety is all about not losing your private key because if it’s gone, your funds vanish as well. Another scam that needs your attention is fake addresses. This is vital, since in the blockchain networks once a transaction is made, it is irreversible. Even when it’s proven that online wallets are most weak on the safety frontier, precautions on your behalf are never too much of an extra effort. Remember, wallets as programs are safe to e certain degree. This scale varies, depending on the type. In other words, anything connected to a web server (online/hot wallets) exposes you to hacker attacks, abusing the wallet network. software regular update – each new update of a program contains the latest versions of the security features. It is advisable to bring your programs to date on a regular basis. extra layers of security – long and complexed passwords are a great start. Next, pick wallets with a reputation of offering extra security layers. Here are some examples – PIN codes, two-step verification etc. What is more, signing a transaction is another way to protect your coins. Some wallets offer a multi-signature option (Copay and Armory) – here not only you sign off the action, smart right? wallet backup – do it often to avoid losses. Some wallets offer that as a part of the options. Anyway, you can still take some backup precautions. For example, when using hot (online) wallet, use for daily transactions. In case you want to store larger amounts of coins, better pick a hardware (cold) storage. Remember, when not connected, no target for hacking. Almost to forget, please don’t get into the trap of fishing emails. Avoid them at any cost. Usage – multi or single? It’s clear, that Bitcoin is the most used digital currency since its first appearance on the crypto market. After that, a lot of altcoins were created and started flooding the digital space. If we stay on that line of thoughts and you have decided to use diverse coins, we are more than happy to advise you on multi-currency wallets. This way you will not have to use a different one for each currency. The fees are usually paid, so miners can process a transaction through the network. There are several types of undertakings, where some have determined fees, others none, third require your involvement and placing one. The higher the fee you type in, the faster your transaction will be executed. This way you establish the priority of your actions. Let’s start by saying, that your street address is not anywhere in the wallet information. Form that point of view, they are anonymous. This doesn’t prevent all your transactions to be stored permanently and publicly on the blockchain. This is a circumstance for the wallet address to be traced to your identity. As a conclusion, partial anonymity is achievable, where full one is still hard to perform. paper wallet – here every piece of paper is the best choice. Don’t print it with your private key, because the cache of the printer can be hacked and read. The wise action is to make not one, but several copies and place them in different locations (which are good to remember). mind wallet – the best one is when you memorize the long public and private keys. Here you can use associative techniques. official wallets – there is not much to suggest here. Pretty much every coin has its wallet, which in most of the cases downloads the whole blockchain. The added features make them perfect for Master and full nodes. web wallets – the connection through a browser is quite risky. Check if the chosen one is custodial (someone else controls everything) and watch out for scam websites, leading you to a download page. mobile wallet apps – these ones store the private key on your mobile phone. On one hand, they are really easy to use and fast when on the other, are hot wallets open to hacker attacks. desktop wallets – pretty much identical to the mobile ones, but being manipulated through your PC. Here a key factor to safety is backing everything up - your keys, files or seeds. It is good that those kinds are most commonly used, therefore the user experience is adequate and can be relied on. Last but not least, avoid keeping large amounts of coins in them. 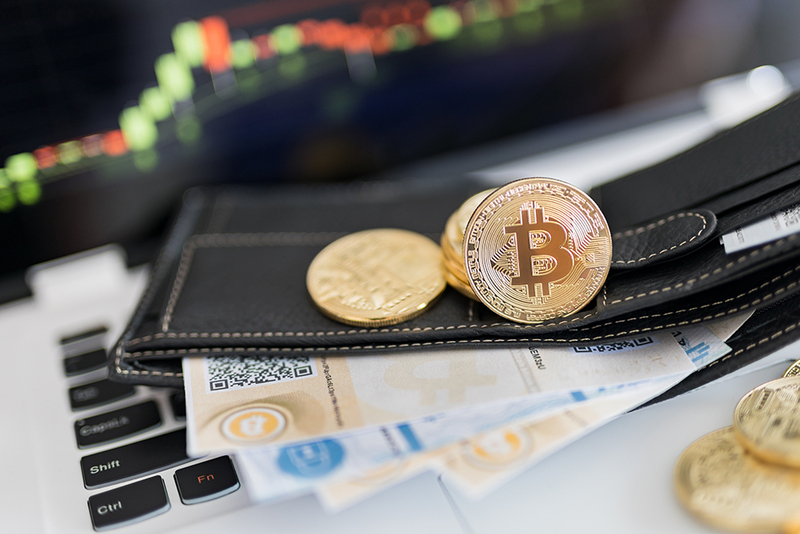 exchanges wallets – now, these are typical custodial wallets. The unsafety approach includes the fact, that they have all your earnings in one place. Once hacked, everything is gone and there is nothing you can do. However, they are perfect for trading. Once done with that procedure, just withdraw the coins to a secure place. hardware wallets – recovered by seed word, which is advisable to be kept safe. Once you lose it, you have no more access to your cryptocurrency. Don’t worry, even if the machine is in the wrong hands, you still have a 4 to 8 digit PIN code, which makes access impossible. These wallets are expensive, but hey, why not investing in a cold storage unit? Well, there is a wallet fulfilling each of your needs. All of those programs and gadgets have one goal though, help you earn, send and trade cryptocurrency in a safe network, backed up by the unbreakable blockchain.